The Jacob Zuma ANC-led government’s “new approach to HIV and AIDS” represents the height of hypocrisy coupled with posturing and grand standing. Zuma did it for money because already he has received pledges of financial support from some western quarters. Zuma and his ruling party colleagues are on the take. It was reported towards the end of September 2009 that President Jacob Zuma criticized former President Thabo Mbeki in a CNN television interview saying Mbeki acted outside government and party directives on HIV and AIDS. Zuma was part of the Mbeki government that came up with the policies his administration is now criticizing and he was also heading the South African National Aids Council (SANAC) during the reign of Mbeki. 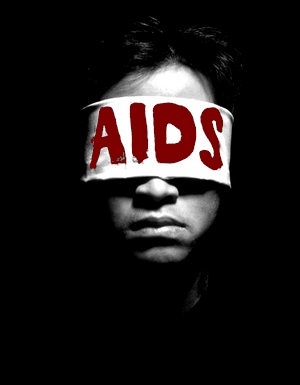 The truth is that ANC policies on HIV/AIDS have failed. Those who are familiar with the history of the science of HIV and AIDS will know that the definition of the disease and causative agent(s) changed about twice. The explanation of the origin of the disease was also ridiculous and scientifically untenable. There is also the harping on the Harvard School of Public Health’s “damning report that revealed that 330, 000 lives were lost because of Mbeki’s and Manto Tshabalala-Msimang’s failure to provide anti-retroviral drugs between 2000 and 2005”. This is thumb-sucking bull crap with no shred of evidence supporting the authenticity of such a claim. For example, there is not a single death certificate in this country stating unequivocally that so and so died of AIDS. Proof will also be required confirming that the pharmacological action of those anti-retrovirals delay the onset of the disease. Retroviruses replicate in the cells of the host and may be difficult to control. They can be manipulated through genetic engineering or molecular biology. Vaccines are complety out. The pharmaceutical companies that manufactured the deadly AZT are the same ones manufacturing the in-vogue anti-retrovirals. Why didn’t they get it right from the beginning? If they didn’t why should we expect them to succeed this time around? The head of Harvard School of Public Health during the time AIDS made headlines, Dr Myron Essex once said AIDS spread throughout the world because someone in the Congo was bitten on the buttocks by a monkey and infected the whole world. Dr Essex was coming with monkey business and we should not be intimidated by the mere mention of the Harvard School of Public Health because it could also be coming with monkey business. Some organizations have been calling on Mbeki to apologize or be charged with genocide. Apologize for what? Mbeki is not a buffoon…he will not apologize. On genocide, there are no crazy law makers out there who would listen to such a baseless case which rests on unfounded allegations.